A little-known company OcuSpec acted with one more solution to replace the computer mouse, and the laptop touchpad, which did not become its full-fledged equivalent. Technology Leap Motion, which is promoted to the masses by OcuSpec, is based on the capture (scanning) of movements of the fingers and hands, followed by digitization that allows you to move the cursor by one flick of the wrist in the air and run a program or open the window you want by simply pointing to the empty space. It sounds great, but the prospect of competing with conventional computer mouse in the future depends on how accurately a mechanism movements capture and how comfortable the process of control is carried out. It is on these grounds we tried to evaluate the practical application of the original controller Leap Motion, and also tried to give a forecast on the further development of this technology. The technology Leap Motion is a coupling of infrared cameras and light-emitting diodes operating in the infrared range and illuminating the work zone. The camera tracks the movement of the hands in a given space. This information is transmitted to the computer, to which the controller is connected. The received information is processed by specialized software, then the result of produced action is displayed on the screen. Leap Motion software package recognizes the wrist, palm and fingers of two hands separately, so the action itself can be absolutely anything, starting with keystrokes on the virtual keyboard and ending with simulated firing from a rifle or a virtual assembly of some models of the virtual LEGO. Nobody forbids to draw or to model using this technology. Everything is limited only by the imagination of software developers. By itself, the scanning technology of the moving object is not revolutionary and is widely used in modern computer animation. There are similar products for the home user. In their basis is specialized software and ordinary webcam or camera operating in the infrared range. 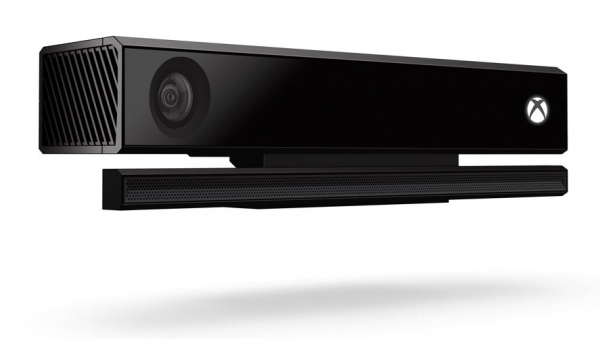 The most famous and popular today similar project is Kinect by Microsoft. However, this controller is positioned substantially as a game one. 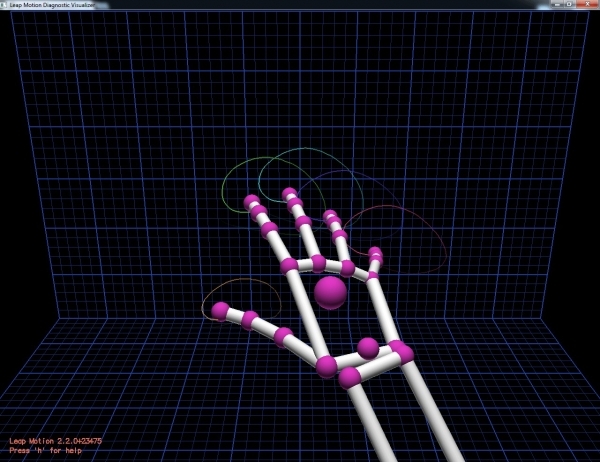 In the recent past there were attempts to create a controller for the PC, but without the possibility of recognition of a set of objects, like Leap Motion. But these devices have not got yet to a wide range of consumers. In the embodiment in which the Leap Motion is produced now, the motion capture is carried out in a sufficiently large region of space above the unit. As long as the user’s hands are within this volume, the device recognizes every movement of his fingers. However, this does not necessarily have to be the fingers – you can take a tool in shape of a stick, pencil or brush, thus simulating the process of creating the image. 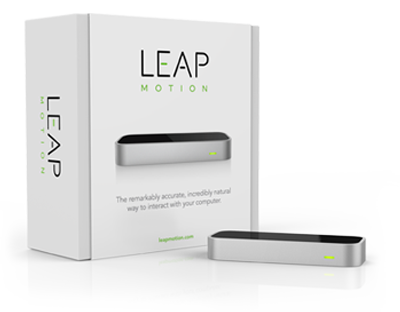 Leap Motion technology is still too young, but the team creating it is very ambitious and has far-reaching plans. 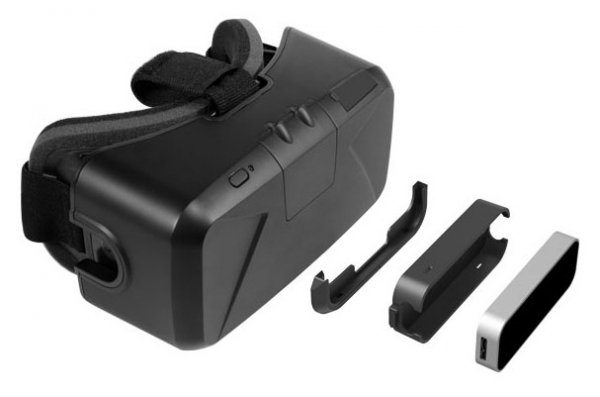 Already today, built-in Leap Motion units are installed in some models of HP laptops, but on the manufacturer’s website you can find information about the use of devices with virtual reality goggles. The module itself is mounted with a special kit into glasses and scans the area in front of the user. The controller comes in a compact not particularly remarkable carton box of bright colors. It’s easy to pass past such a box without noticing that before you just flashed a unique device with the technology of the future. Inside, apart from the module itself, can be found only two cables with connectors microUSB 3.0 of varying length and short printed Getting Started Guide.